The sisters of KGD will be flyering and tabling at the MU all week from October 2nd through October 6th 10-2 PM! 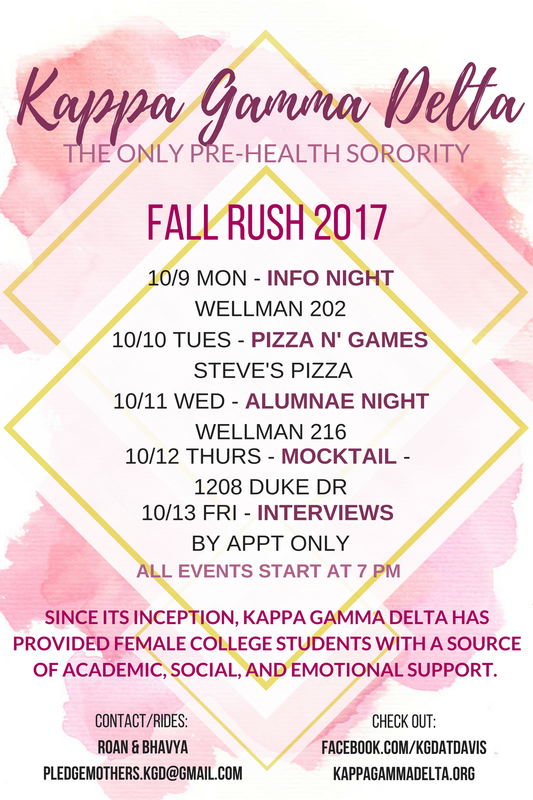 Please come by to check us out and learn more about our wonderful sisterhood!! Also, feel free to email pledgemothers.kgd@gmail.com if you have questions! Proof of 3.0 GPA or higher (provide when signing up for interview). Complete Rushee Info Sheet (available at Rush events). Schedule an interview with the Pledge Moms.